What is a Brokerage Account ? A Brokerage or a Stock Trading Account is required in Singapore before you start trading in stocks, bonds, mutual funds and other fixed income and government linked securities. Why do I need a Depository Account? You will also require a securities account or a CDP account with the Central Depository Pte Ltd (CDP) for holding your shares and for settlement of trades. Your Brokerage Account needs to be linked to your CDP account before you start trading. Generally your stock broker will help you open both a Brokerage and a CDP account. If you are a foreigner you need to open a sub-CDP account. Although you can have multiple Brokerage Accounts with different broking houses, you will have only one CDP account to which all your trading accounts will link to. How do I pay for my trades done using my Brokerage Account? For enabling Electronic Payment for Shares (EPS) you will need to link up your Brokerage Account with your EPS account which is usually your bank account. Most brokerage firms will allow most major bank accounts for EPS linkage. Although EPS enables faster access to funds and safer money settlement it is not the only way to settle your trades. You can also settle your trades by making a payment into your Brokerage Account through cheque, by cash or through GIRO. 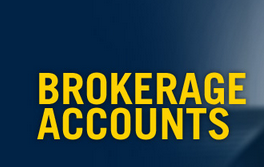 What are the eligibility criteria for a Brokerage Account? You should be atleast 18 years old. (An investor between the age of 18 and 20 will be classified as a Young Investor). You should not be an undischarged bankrupt. You should have no delinquent records with any stockbroking firm in Singapore. What documents do I need to open a Brokerage Account (and a CDP account)? * Original Identity Card (not a Driving Licence). * Bank account details (if you wish to pay by EPS). * Latest CDP statement (if you already have a CDP account). * You may need to open a trust account for settlement of shares. Account application for opening a CDP account must be done in person. If you are living overseas, your application for a sub-CDP account should be notarized by a Notary Public from your country.